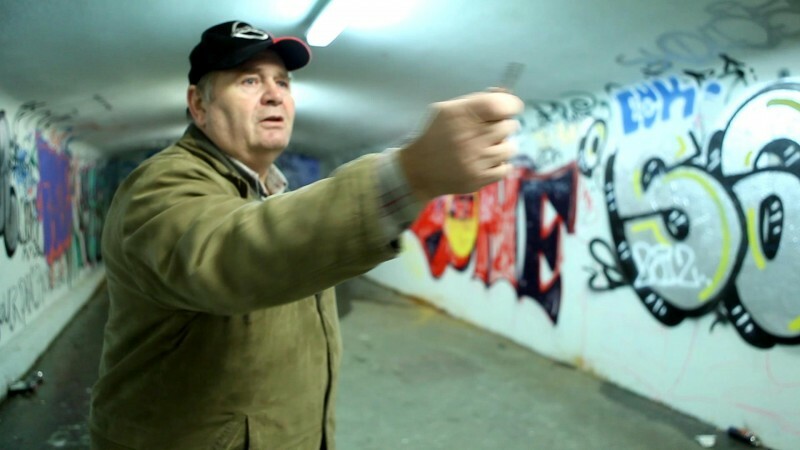 'Joe in the Tunnel' is a documentary about a janitor called Joe, and his unlikely role in the Icelandic graffiti scene. Joe worked in the tunnel underpass at Klambratún, from 1993 to 2005. 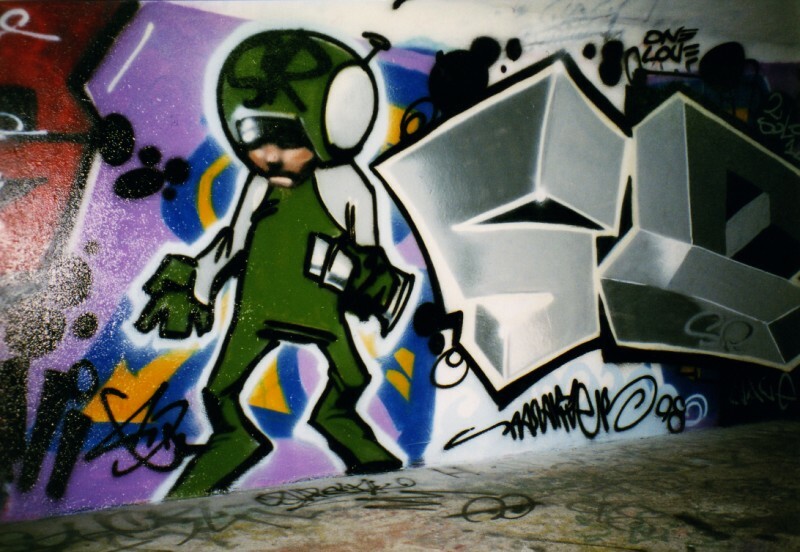 During this period, graffiti culture was exploding in the city Reykjavik. 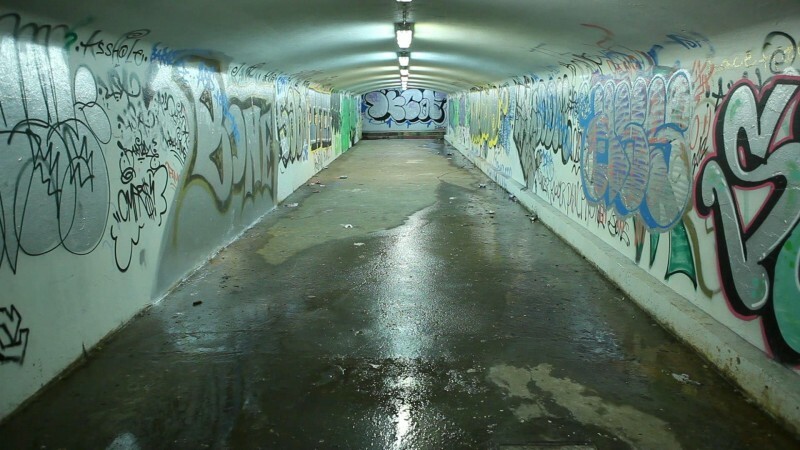 Joe's tunnel was a very popular place for young graffiti artist's to visit, and make their mark. 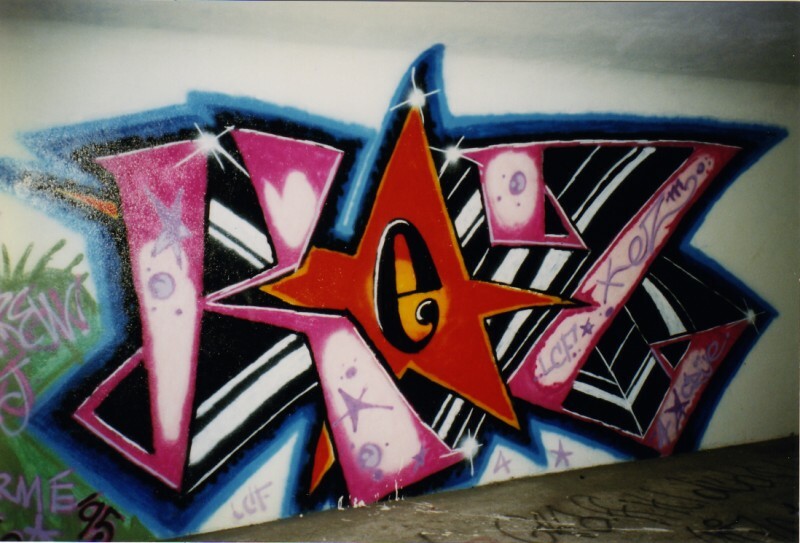 Joe took an interest in graffiti at a time when it had been banned by city officials. Joe sought approval from his superiors, and got permission to allow graffiti in the tunnels. The only condition being that he served as an art curator in addition to his regular duties, keeping the tunnel neat and painting over whatever could be considered pornographic or in any way Satanic. 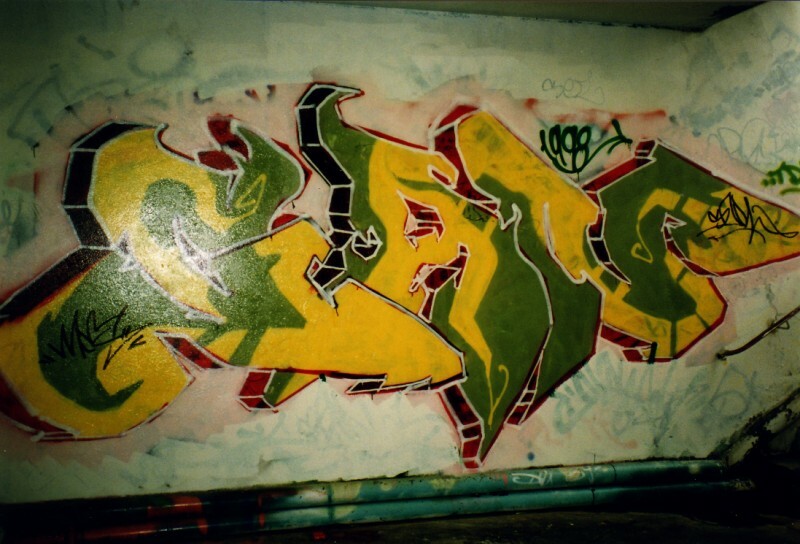 While working in the tunnel, Joe documented the graffiti. Joe took photos with his trusty automatic camera, had the pictures developed and collected them in photo albums. He paid for all expenses himself. 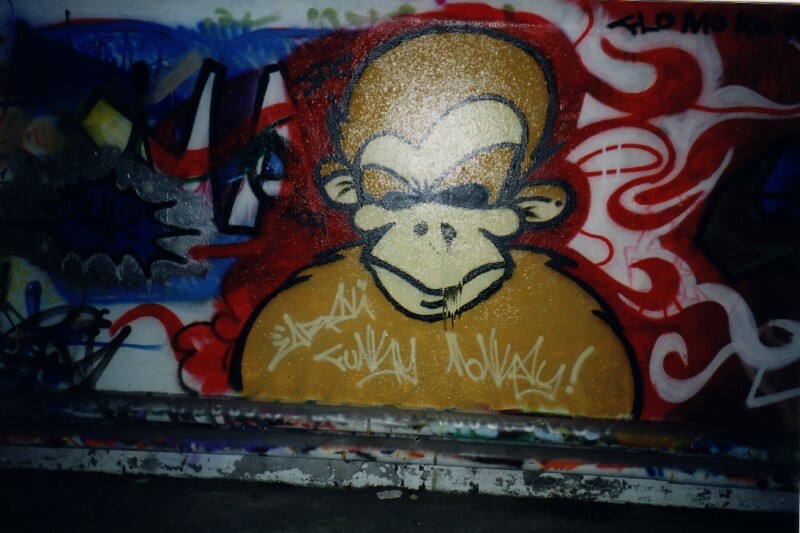 His collection is now considered to be one of the best documentations of the Icelandic graffiti scene from that time. 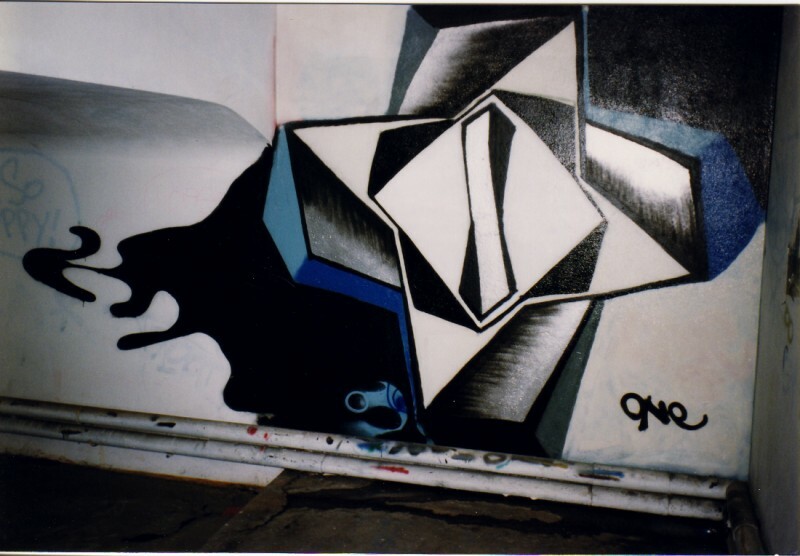 'Joe in the Tunnel' is about Icelandic graffiti with a special focus on the work of Jóhann Jónmundsson as an art curator and mentor to the young graffiti artists. 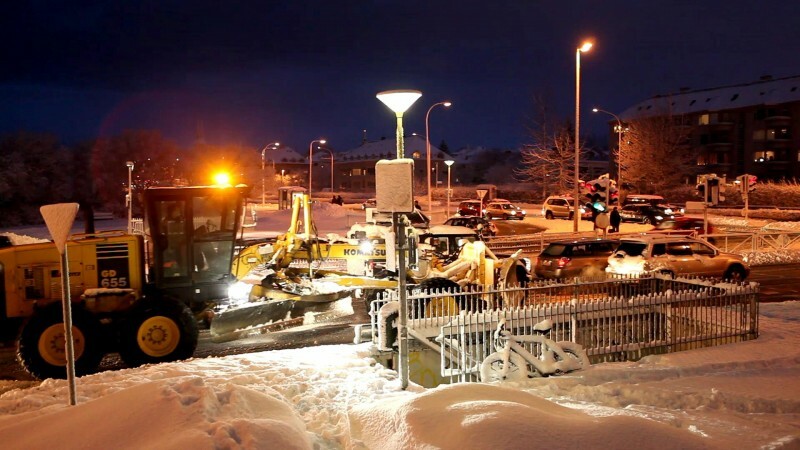 Jóhann, commonly known as Joe, was as a public restroom attendant in an underpass tunnel in Reykjavik called Hlíðargöngin . While the documentary will follow Joe as a central figure in our story, we will at the same time tell the story of the rise of graffiti in Iceland and it's decline in the early 2000s. 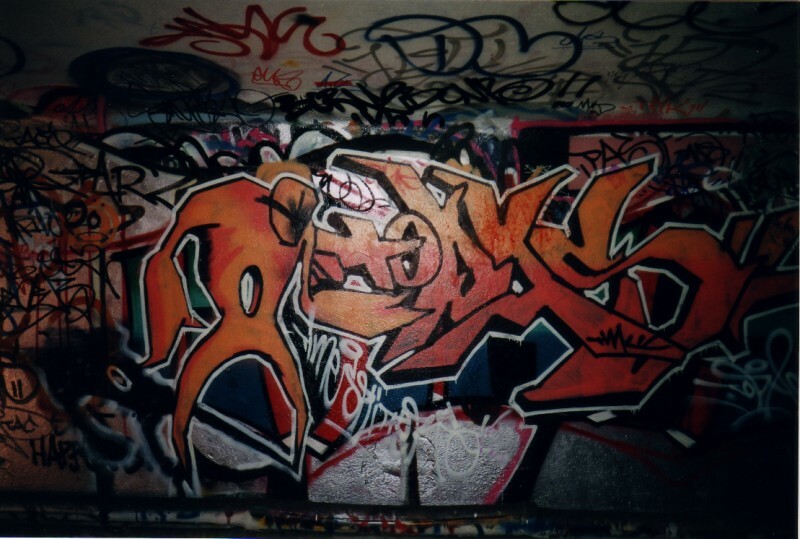 By interviewing most of the best graffiti artist from this period we will explore what it is that made graffiti so special to them, how they felt society's responded to their art and what it is that makes graffiti an art form that's on the borders of vandalism. This is the first time that anyone has attempted to do a feature length film about graffiti culture in Iceland. We know that our paticular approach will result in an entertaining and informative look at Iceland's graffiti boom. We feel that this film could be 'The Graffiti Film' of Iceland with a capital G.
Please help us finish our film and make it a reality by donating. We organized a graffiti exhibition during Reykjavík's Culture Night held in Joe's tunnel. 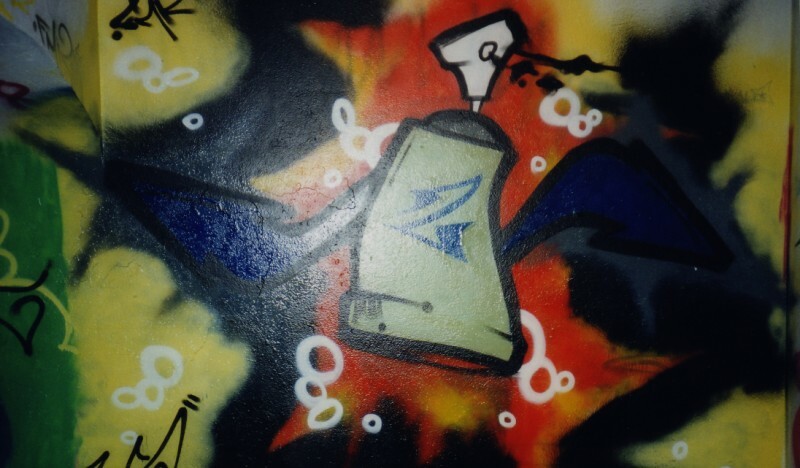 The event celebrated the 20th anniversary of the beginning of the Icelandic graffiti boom. 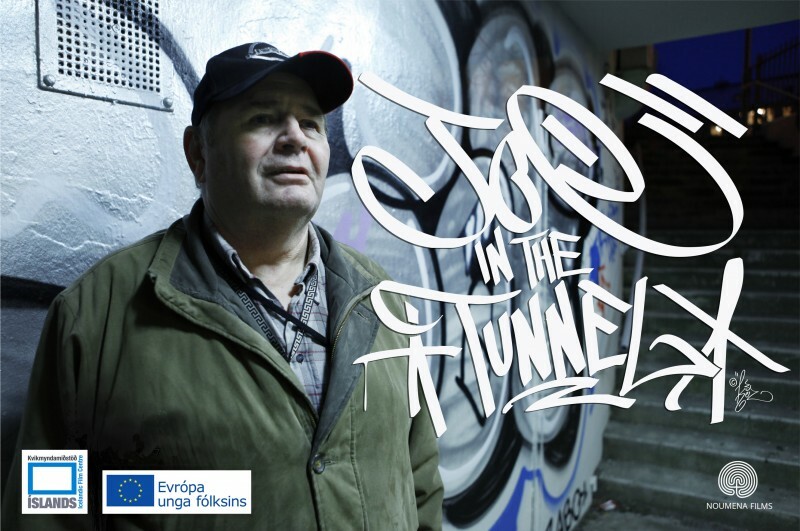 A group of Iceland's best graffiti writers painted the tunnel from end to end and Joe himself was specially celebrated with an art piece in the end of the tunnel. The event was a great success and a true monument to the cultural importance of graffiti. How the tunnel looked after Culture Night. We have been preparing the film since early 2013. We have done a great deal of research, done some test shooting and written a script to make sure we do the material justice in an entertaining way. During this time we have also promoted the film at festivals and have been given a grant from The Icelandic Film Fund for the script and The Youth In Action program for preparation and a portion of the filming. We are deeply thankful for the help of these backers. But if we want to finish the film we need to make sure we have the funds to do it. That's why we turned to crowdfunding with the help of Karolina Fund. Film making is a long and expensive process and every dime counts. This is the first time to our best knowledge anyone has attempted to make a feature documentary about Iceland's graffiti culture, and it's about time. Thus we believe that culturally it's of great importance that we finish the film. If all goes according to plan we hope to premiere the film in the summer of 2016. 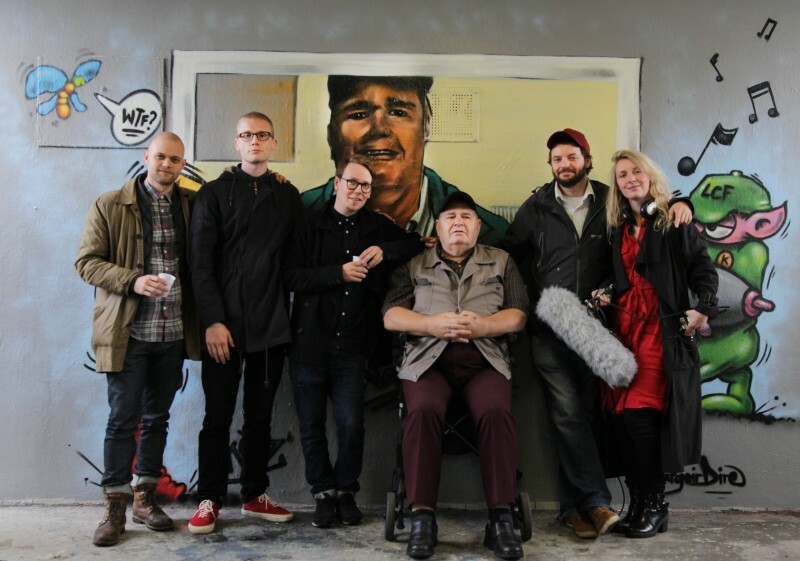 A part of the crew with Joe himself during the Tunnel party on Reykjavík Culture Night. From left to right: Jóhannes, Óskar, Björgvin, Jói 'Joe in the Tunnel', Hallur and Helga. Missing from the photo are Bríet and Ester. Hallur graduated from the Icelandic Film School in 2010. He has worked as a director, script writer, editor, cameraman and film making instuctor. He has directed numerous short films, webisodes and a feature documentary. 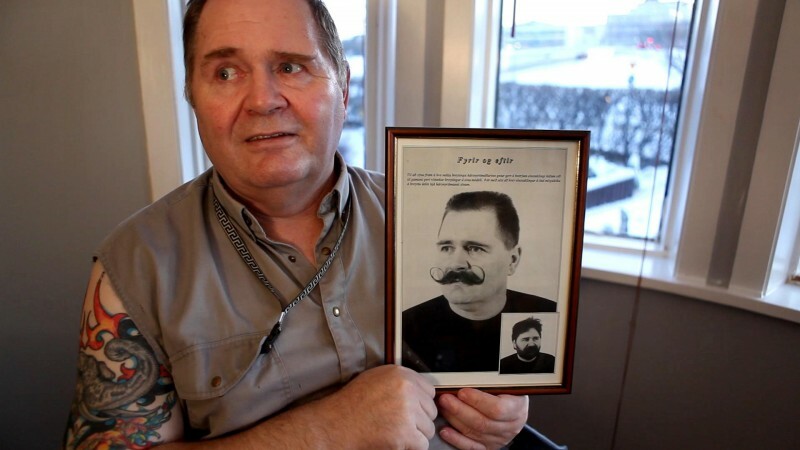 Hallur is one of two owners of Noumena Films, 'Joe in the Tunnel's' production company, the other being Ester Rós Björnsdóttir, our accountant. Björgvin graduated from the Icelandic Film School in 2012. Björgvin has worked as a DOP and cameraman on various projects. Björgvin's background is in photography and graffiti art. Lately he has directed various music videos. Óskar has been working as an independent contractor on various film project since 2009, including Icelandic feature film Brim and the Hollywood film Thor 2. He has written and directed numerous short films and for the last couple of years Óskar has been working for The Reykjavík International Film Festival. Bríet graduated from the Icelandic Film School in 2010. She has worked as a producer on various TV shows for Stöð 2, Iceland's biggest and oldest privately owned television station, and production company Saga Film. Bríet's directorial debut, the short film "The Rose", premiered at The Reykjavík Film Festival in 2010. Helga Björg has a BA degree in Arts from the Iceland Academy of the Arts and a Master degree from Visual Performance from Dartington College of Arts. She has worked on various film projects including Grímur Hákonarson's "Rams". Helga premiered a narrative short film "ANNA" at The Reykjavik International Film Festival in 2014 which she directed, wrote and produced. Jóhannes has worked as a script writer and script consultant on various film projects. His directoral debut, the short film "Summer", which he wrote, shot and edited within a week, premiered at the Ljósvakaljóð Film Festival in2010. Ester has a BA degree in sign linguistics from the University of Iceland. Since she was a teenager she has been working behind the scenes for various companies, as a manager and accountant. Ester has also worked on set for a few of Hallur's projects. Together they own the production company Noumena Films, which produces 'Joe in the Tunnel'. Youth in Action gave us a grand to get things going in 2013. Icelandic Film Center sponsored the script. Grímur Hákonarson, the director of Hrútar, is our production consultant. Bíó Paradís will screen the film when ready. 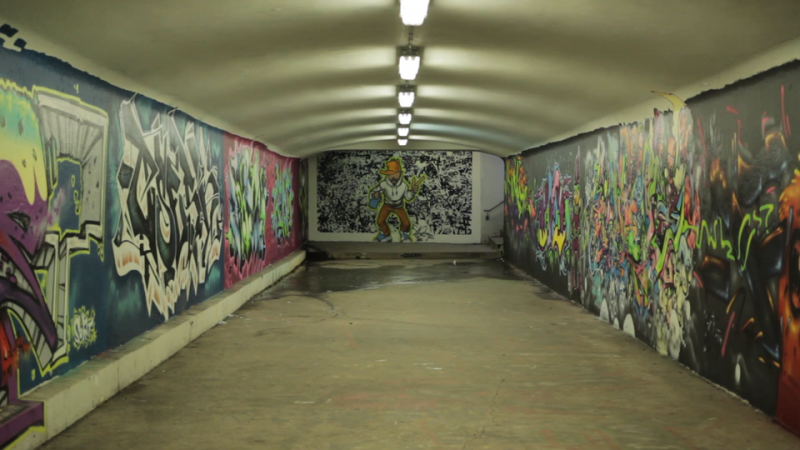 Reykjavík made an exception and allowed us to host a graffiti exhibition in the tunnel on Culture Night in 2015. The graffiti artist Kez helped us with the poster. Local graffiti artist Youze donated three paintings to our crowdfunding campaign. 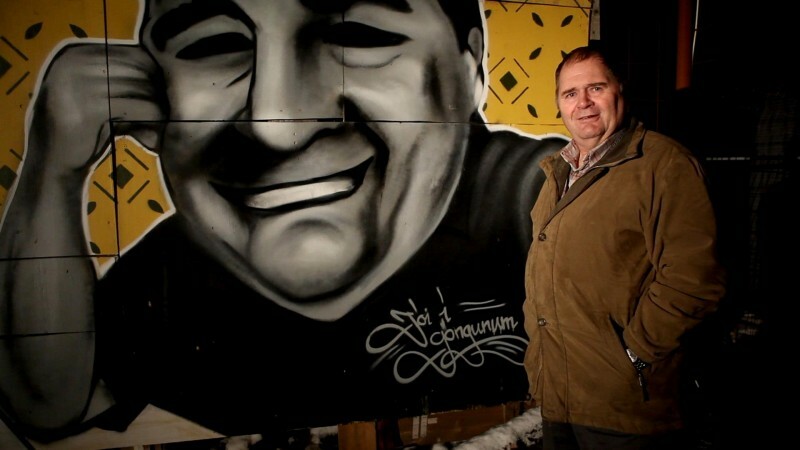 For years Youze has been one of the most prominent graffiti artist in Iceland. He has over the years developed a very distinct style influenced by reggae music, shamanism, spiritual symbols, abstract art and of course New York graffiti. You can make one of his painting your own by pledging to our film at Karolina Fund.